Posted by ibn1brahim in 057. 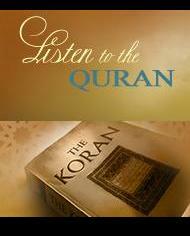 Surah al Hadeed, Audio, Ibrahim (Abraham), Isa (Jesus), Islam, Islam Muslim, Muhammad, Muhammad Luhaydaan, Nuh (Noah), Prophets, Qur'an, Reciters, Suwar. On the Day you see the believing men and believing women, their light proceeding before them and on their right, [it will be said], “Your good tidings today are [of] gardens beneath which rivers flow, wherein you will abide eternally.” That is what is the great attainment. On the [same] Day the hypocrite men and hypocrite women will say to those who believed, “Wait for us that we may acquire some of your light.” It will be said, “Go back behind you and seek light.” And a wall will be placed between them with a door, its interior containing mercy, but on the outside of it is torment. The hypocrites will call to the believers, “Were we not with you?” They will say, “Yes, but you afflicted yourselves and awaited [misfortune for us] and doubted, and wishful thinking deluded you until there came the command of Allah. And the Deceiver deceived you concerning Allah. Posted by ibn1brahim in 057. 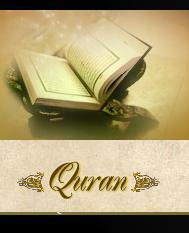 Surah al Hadeed, Audio, Ibrahim (Abraham), Isa (Jesus), Islam, Mishary Rashid al-Afasy, Nuh (Noah), Qur'an, Reciters, Suwar.